Given the dazzling December economic data, it’s no wonder the press gave it short shrift. According to the U.S. Bureau of Labor Statistics, the economy added a whopping 312,000 jobs, far more than the expected 176,000. After revisions, job gains have averaged an impressive 254,000 per month over the past three months. 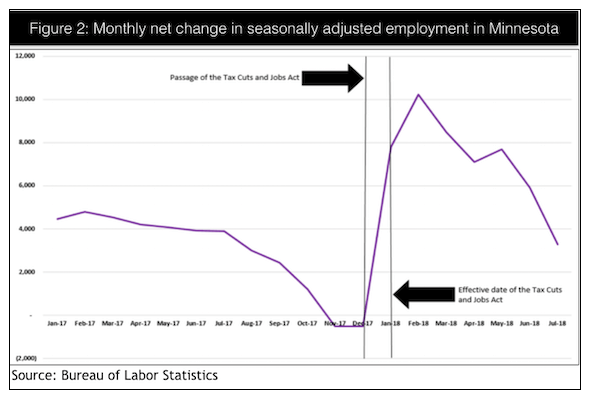 Job growth in 2018 (an average of 220,000 per month) passed that of both 2016 (195,000) and 2017 (182,000). Payrolls increased by 2.6 million in 2018, the highest since 2015. The sunny jobs picture encouraged 419,000 new workers to enter the workforce and sent the labor force participation rate up to 63.1 percent. Unemployment rates among blacks, Latinos and women are at or near historic lows. 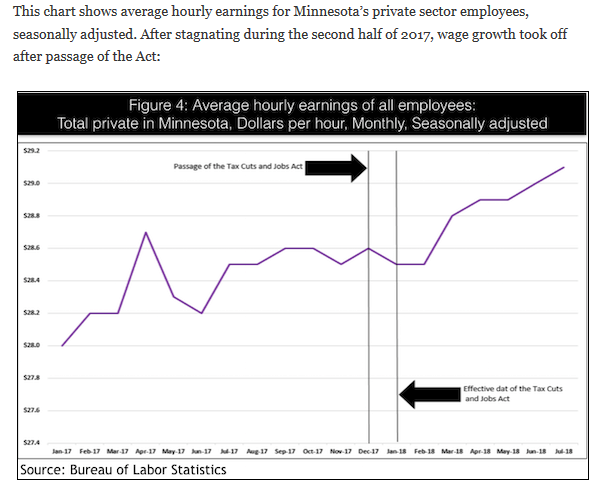 Job growth has also meant significant wage growth. Wages are up a stunning 3.2 percent from last year and .4 percent from November. December was the third straight month that the yearlong growth in nominal average hourly earnings was above 3 percent in nearly a decade; the last time we saw that trend was April 2009. Wages are also being given an assist by inflation being kept in check. Mr. Trump and his economic thunderbolt are exposing the left and its policies as irredeemably bankrupt, economically and morally. And that is perhaps the biggest reason why they must try to destroy him. A lot of this economic news has not been reported. However, people do notice when there are more jobs available and there is more money in their paycheck. President Trump’s approval numbers are finally in positive numbers. 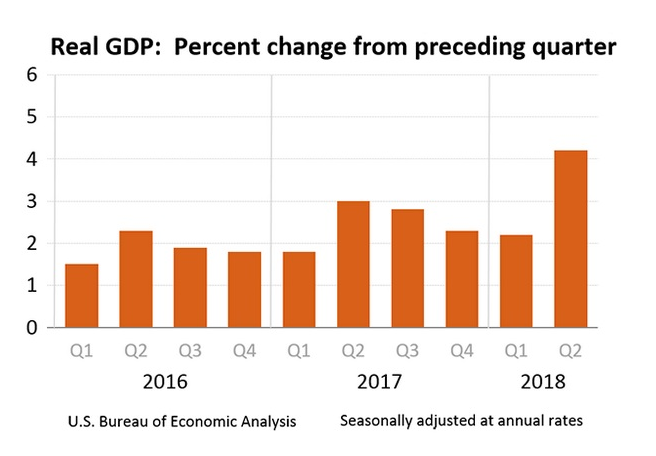 The economy is booming. What would be the basis for most Americans believing America is headed in the wrong direction? Might it be the constant negative reporting from the media? Can you imaging what President Trump’s approval rating would be if the media were actually balanced? Just remember–the people vote. The media represents only a small percentage of votes. America ideally is a land of equal opportunity. To some extent that is true, but there are some people who abuse their position and take advantage of the generosity of the American people. A story posted in The Boston Herald yesterday illustrates how a charity can be used for personal gain–I am not talking about the Clinton Foundation, but the Clinton Foundation might have gotten a few ideas from what I am about to share. Do you know how much money Joe Kennedy, the former congressman, is now making at his “nonprofit”? …Kerry Kennedy, got back into the news recently. …Reading the stories about Kerry’s big payday reminded me of Joe K. And it’s not only him and the second missus who are getting rich off the Citizens Energy gig — I mean, nonprofit. According to the public filing, CE’s CEO, one Peter Smith, made $627,983 in 2016. The chief financial officer, Ernest Panos, pocketed $447,260. Joe’s flack in his congressional office — Brian O’Connor — now makes $240,962 a year at Citizens Energy. Charity Navigator, a somewhat reliable source for rating charities, does not rate Citizens Energy Corp because Charity Navigator only rates organizations that are classified as 501(c)(3) and able to accept tax-deductible donations. Citizens Energy Corp is classified as a 501(c)(4). However, just as a point of reference, Charity Navigator does rate the Clinton Foundation as 92.40 out of 100. I find that somewhat questionable. It seems to me that there are people making large amounts of money due to the generosity of the American people. The government should not be in the business of determining the wages of anyone, but it seems to me that those running non-profit organizations should be paid salaries more in line with the average American. Helping people in need should not be a million-dollar-a-year job. I suspect the only way to deal with this problem is for the American people to pay more attention to the charities they support. More transparency from charities would also be helpful. Americans are a very generous people. It is unfortunate that there are those among us who are taking advantage of that generosity.